Mr. Fahri Burak, TIKA Expert, Republic of Turkey Prime Ministry has shown his country’s interest to provide financial assistance to PKSF for agricultural development. In this connection, a meeting was held on 25 June 2014 at PKSF Bhaban. The meeting was attended by Turkish representatives; Mr. Selim Reza, Join Secretary and Mr. Nowsher Ahmed Shikder, Assistant Chief of Economic Relations Division (ERD). Mr. Goalm Touhid, Deputy Managing Director (Operations-2); Mr. A.Q.M. Golam Mawla, General Manager (Operation); Dr. Sharif Ahmed Chowdhury, Deputy General Manager (Livestock) and Ms Tanvir Sultana, Manager (Operations) of PKSF were also present in the meeting. The meeting was presided over by Mr. Goalm Touhid. A brief presentation on PKSF’s overall activities and a project Proposal was made in the meeting. The meeting discussed the Project proposal in detail. The meeting was followed by a courtesy visit by the team to Mr. Abdul Karim, Managing Director of PKSF. Mr. Md. 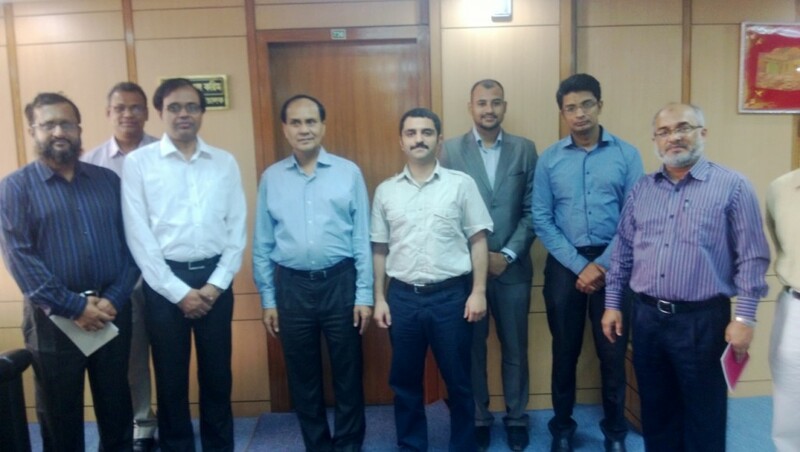 Fazlul Kader, Deputy Managing Director (Operations-1) was also present in the meeting.